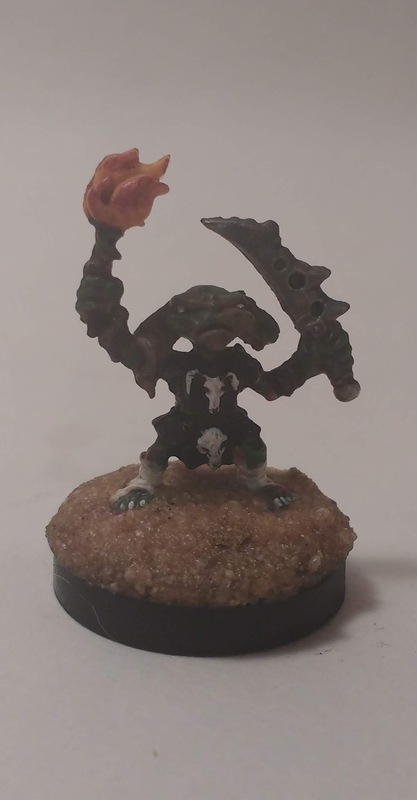 Back in the original Reaper Bones Kickstarter I acquired a collection of Pathfinder Goblins. 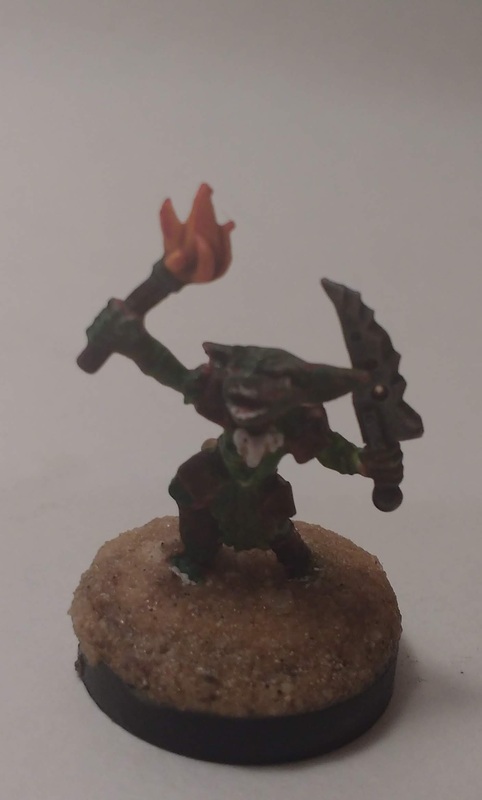 These include the Goblin Warriors, Goblin Pyros, and Goblin Warchanter. 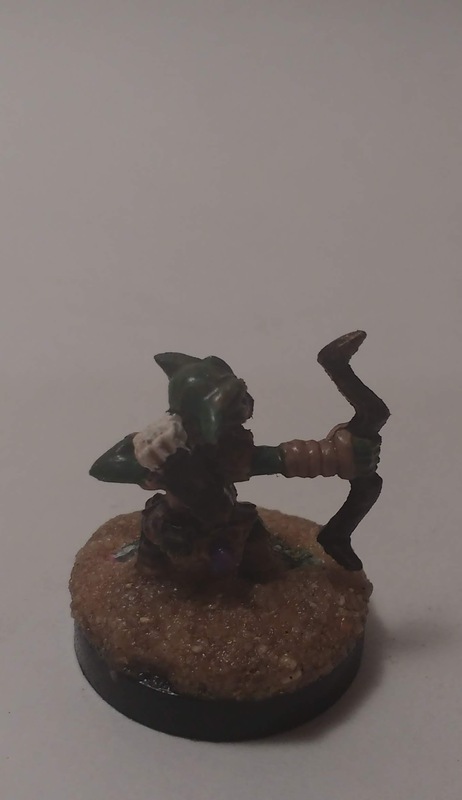 I thought now was time to finally paint them as Paizo is adding Goblins as a core ancestry in Pathfinder Second Edition. 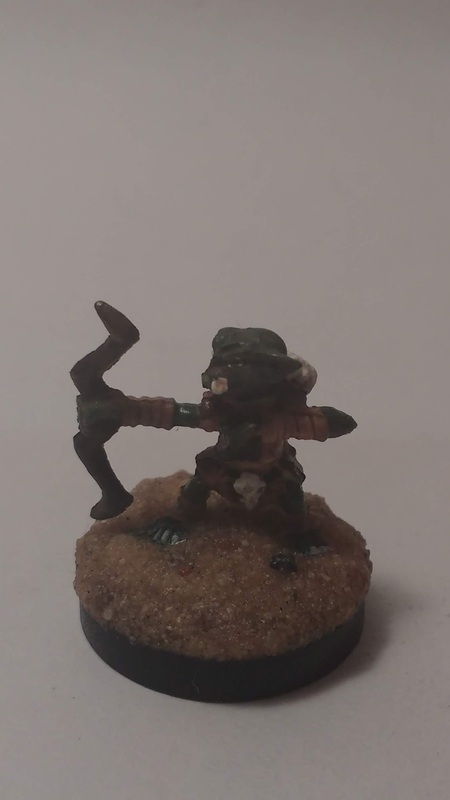 I started with a dark red base coat followed by a marshy green overcoat on the flesh. 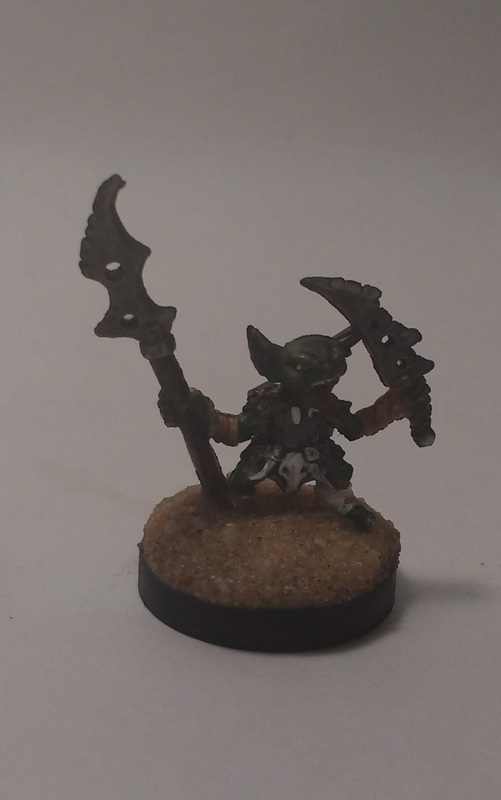 I varied the equipment to try to give the Goblins the feel of individuals rather than members of a themed army. 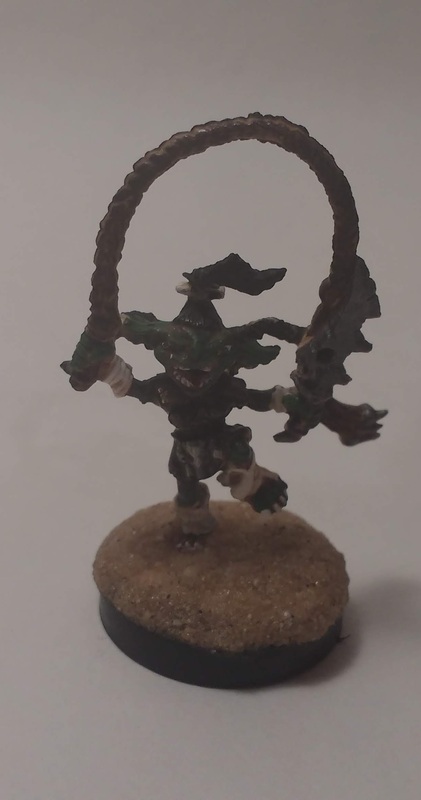 I think this will allow them to continue to be fielded as threats while also being viable as player characters. 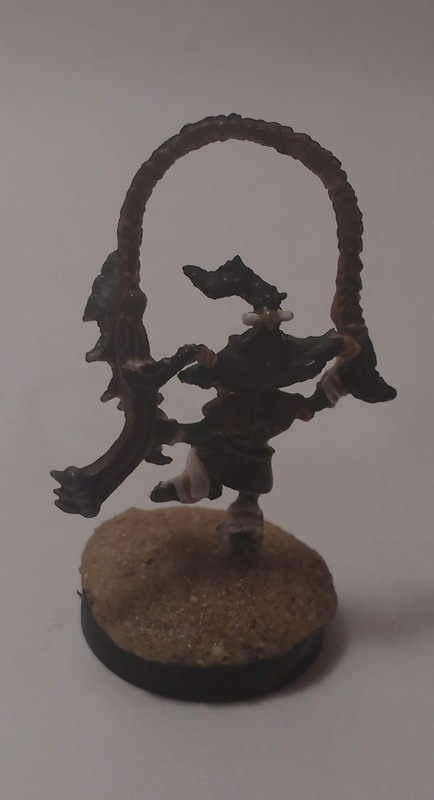 One problem that I’ve had with these Bones Pathfinder Goblins over the years – especially the Warchanter – is standing straight. 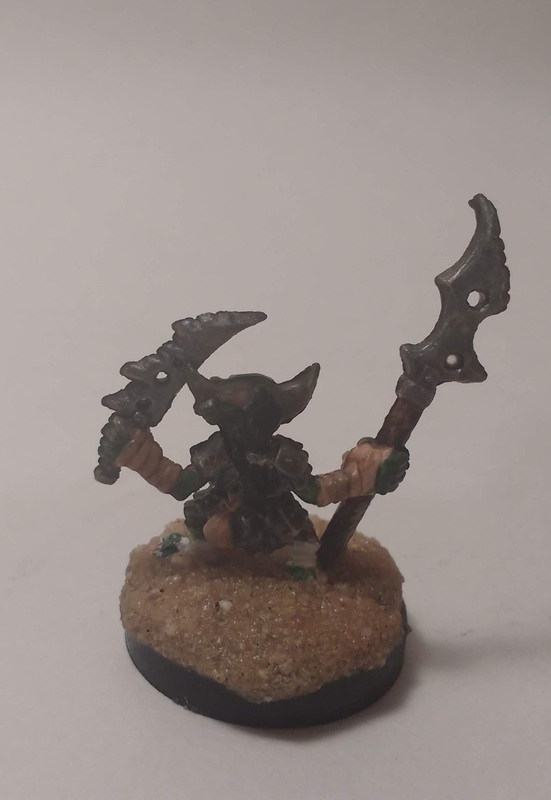 Dunking the miniature in hot water and then ice cold water to reset in the proper pose didn’t take on these. 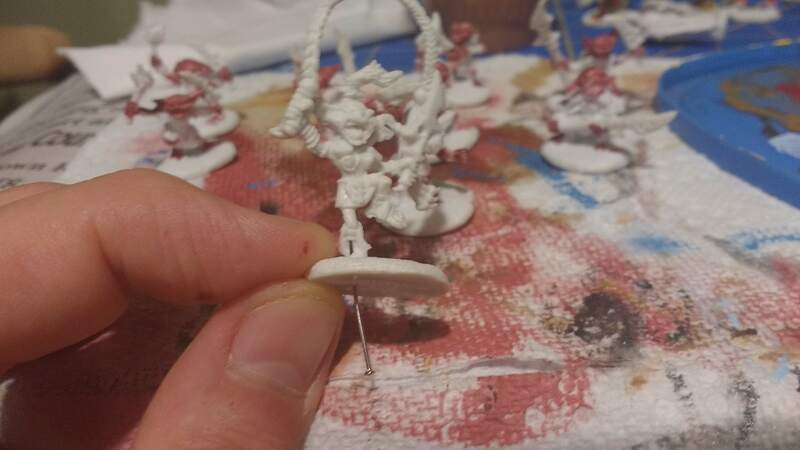 Well, I decided to use pins to stabilize the miniatures before painting and basing them. 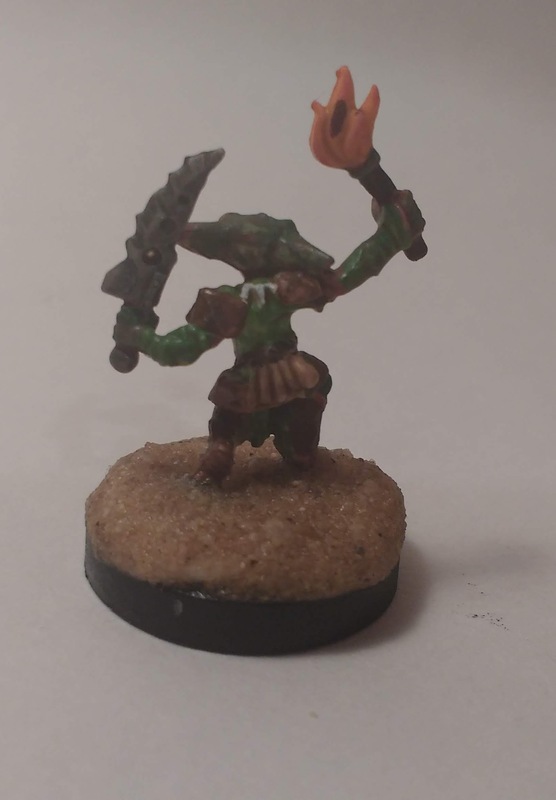 I ordered several packs of Pathfinder Goblin Pyros and Pathfinder Goblin Warriors from Miniature Giant last year. 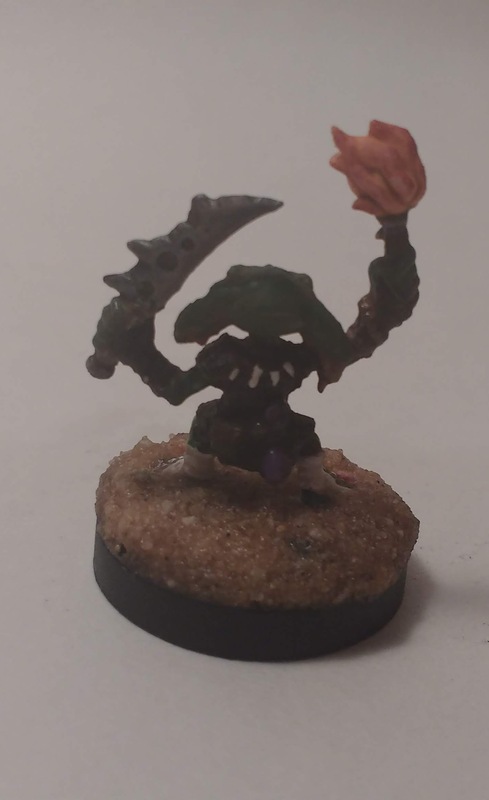 I’d been planning to mod them with futuristic weapons to make Space Goblins for Starfinder but now I think I’ll use them to add some diversity to the Pathfinder Second Edition playtest.